You enjoyed the summer sun but now that fall is here, you realize that perhaps you over-did it. Days spent basking in the sun’s glow can take a toll on both the skin’s appearance as well as its make-up. Most of us are aware that prolonged and excessive sun exposure causes skin damage, the type of damage that shows up as brown spots, fine wrinkling, textural changes and pre-cancerous actinic keratosis. Fortunately there are ways to alleviate skin damage, improve the look and health of the skin with minimal social downtime. 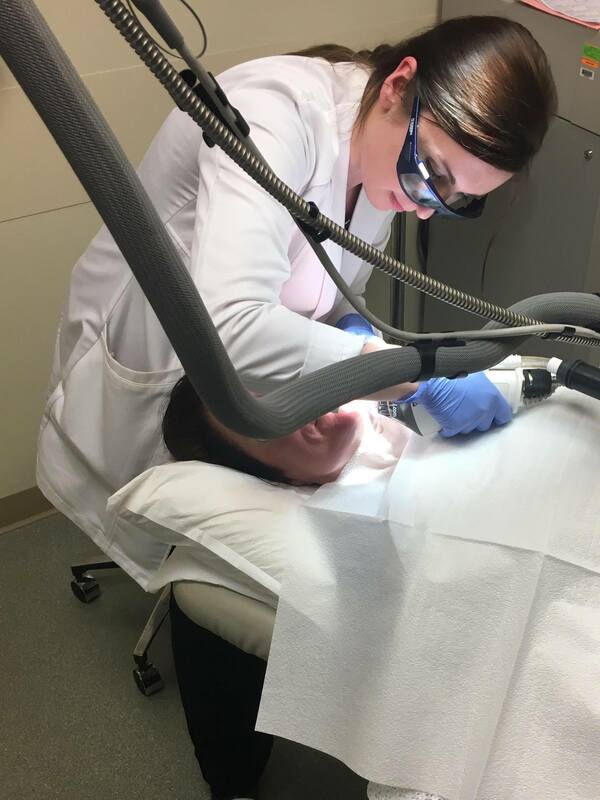 Fraxel DUAL is a non-ablative laser that is applied in a fractional pattern—meaning that only a fraction of your facial tissue is treated per session, leaving the surrounding tissue intact which promotes rapid healing. Fraxel DUAL stimulates the growth of new skin cells and gives your skin a youthful vibrancy while reducing unwanted pigmentation, improves the tone and texture and can even reduce acne scarring. Fraxel DUAL is a wonderful tool in that it can be used on the face, neck, chest, and extremities—all commonly exposed areas that are thus more susceptible to sun damage. What Will Fraxel DUAL Do for Your Skin? What you see outwardly is the body’s physical response to damaged skin cells. Sunspots are a common concern for our patients. Caused by melanin, our body’s natural defense system, sun spots are a telltale sign of underlying damage. As you progress through your treatment, the exfoliating like qualities of Fraxel DUAL help sunspots to slough off . More so, Fraxel DUAL stimulates the body’s restorative process to cycle out damaged cells for new and healthy cells. By breaking down collagen and elastin, UV damage accelerates the aging process. The weakening of collagen and elastin cause the skin to appear thin, wrinkly, and saggy. Stimulating collagen formulation, Fraxel DUAL regenerates and supports the skin’s underlying structure. As new collagen forms, fine lines and wrinkles dissipate and the skin gains a youthful tightness. Whereas many treatments may improve the outward appearance of your skin, Fraxel DUAL has the ability to inwardly repair damaged skin at the cellular level. 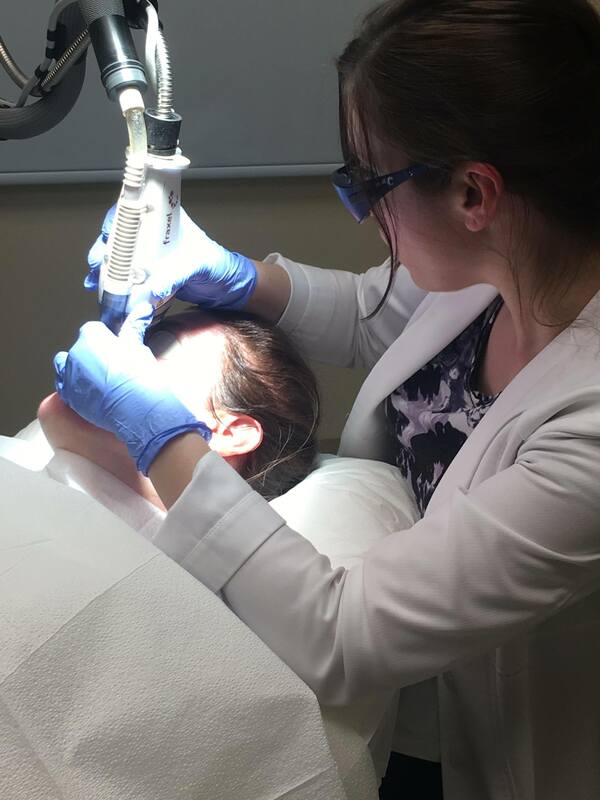 Proven to mitigate sun damage and treat precancerous cells—Fraxel DUAL is an effective tool to aid in creating healthy skin, working deep within the cell’s structure, Fraxel DUAL’s benefits extend long past the treatment. Like you, at Cosmetic Surgery and Dermatology of Issaquah, we understand the draw of a day spent in the sun. Always an advocate for healthy skin, we encourage you to discover the transformative benefits that Fraxel DUAL can have on sun damaged skin.